Launched in 1963, the Reliant Sabre Six was a replacement for the Reliant Sabre Four. 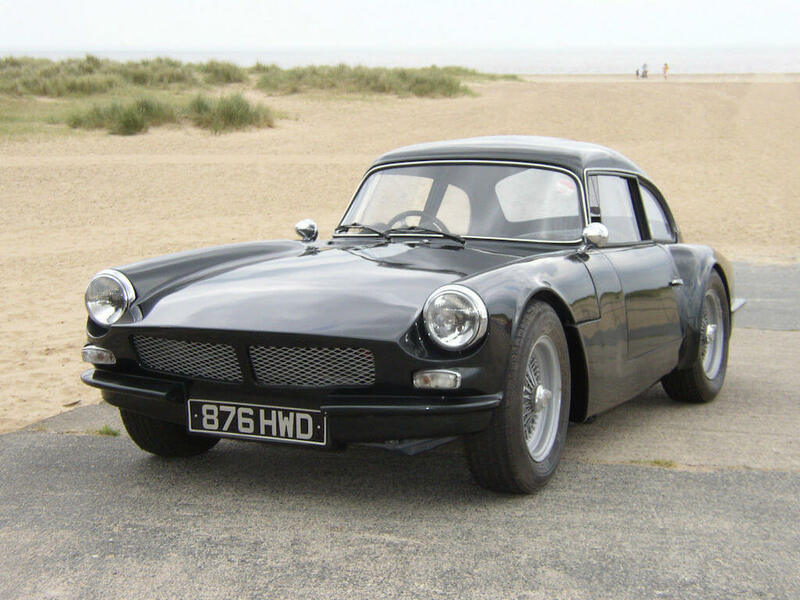 The Sabre series cars were originally developed as a collaboration between Reliant in the UK and Autocars in Israel. 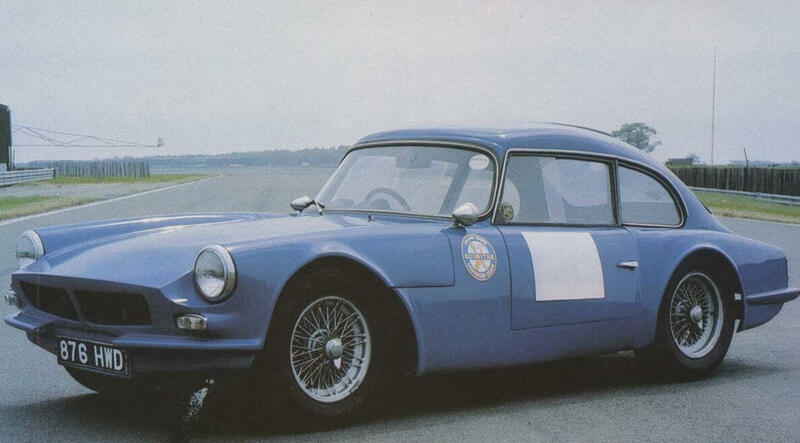 This collaboration resulted in the Sabre sports car series, with the name originating from the Sabra cactus in Israel. 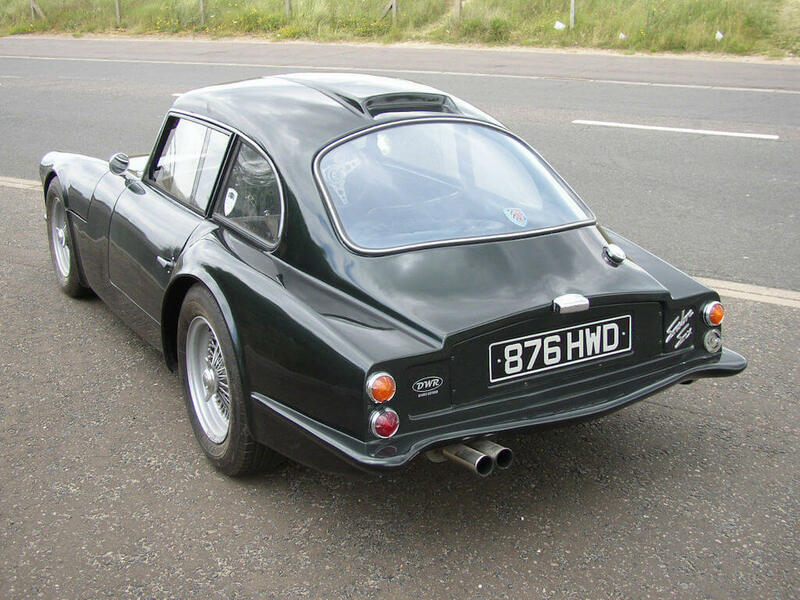 The fibreglass body was based on the Ashley 1172 (see our article on the Ashley Sportiva) and the chassis design was supplied by automotive engineer Lesley Ballamy. Prior to 1960, Reliant had not taken part in any international rallying. This changed in 1962 when the decision was made to enter a Reliant Sabre Four in the Tulip Rally in Holland. The car performed well and encouraged the new Reliant Works Team to continue racing which ultimately led to the development of a Sabre Six for international rallying. Powered by a 2.6ltr 109BHP Ford Zodiac straight six engine, the fibreglass bodied GT finished in first and second place at the 1963 Austrian Alpine Rally. The cars chassis and glass fibre coachwork proved very tough which was demonstrated in dramatic fashion at the 1964 Monte Carlo Rally. A Reliant Sabre Six GT driven by Bobby Parkes and navigator Arthur Senior, left the road and rolled 80 feet down the side of mountain, landing on the road below. Both the driver and navigator walked away with only minor cuts and bruises. The car was of course written off but the crash did show that Reliant’s standard production fibreglass body shell was very strong and capable of withstanding serious impact. In all a total of 75 Reliant Sabre Six coupes were built between 1963 and 1964. 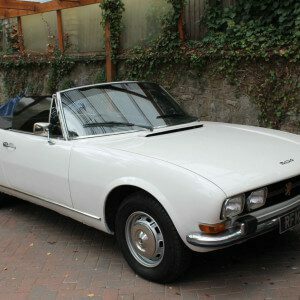 Only 2 were convertibles, giving a total production run of 77. Offered for sale is the 1963 Reliant Sabre Six Sprint Works development car, 876 HWD, which has had a well documented racing history. The seller states that it retains many of it original factory components, including the body and chassis. The original bonnet was damaged in a crash at Silverstone but is included with the car. Moulds for the bonnet and the rear wings are also supplied. The race spec engine retains its Raymond Mays tuned alloy head and Works triple 42DCOE Webers. The suspension and shocks have been rebuilt to a high standard. The Reliant Sabre Six GT is a good looking car. We expect it weighs very little thanks to the fibreglass body. And no doubt goes likes the proverbial scalded cat. No boot lid here, just a removable panel to slide in and out the spare wheel. Its very spartan inside as you would expect. We love the long gear stick. Ideal for rapid shifting. The ex Works Sabre Six in action, sporting a different colour as well. Another old shot of the Sabre, again with a colour change. As ex Works development cars go, this Reliant Sabre Six is pretty special. Originally built for the 1963 Le Mans, the car was unable to enter as the race was already over subscribed. 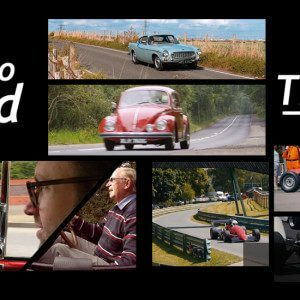 It was therefore used for sprints and hill climbs, in particular at Prescott and Shelsley Walsh hill climbs. 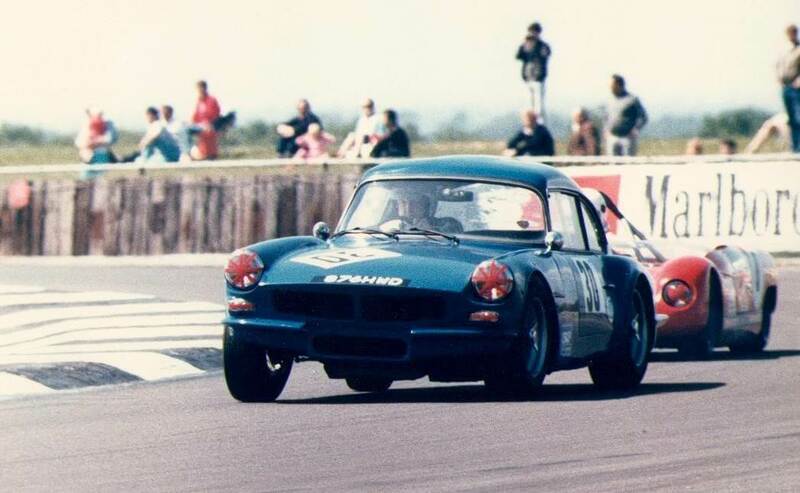 It was sold in 1968 to Robin Rew who later won the Pomeroy Trophy at Silverstone in 1974. The car was retired in 1987 and then restored. The Reliant Works Team fitted this Sabre Six with an experimental, one off independent rear suspension with double wishbones and adjustable bottom links. The rear wings were lowered and widened to accommodate the new suspension layout and are unique to this Sabre Six. Its tuned engine was apparently good for 0-60 in 6.1 seconds in 1964, which is impressive even by todays standards. Design wise, the body on this Sabre Six shows its origins from the original Ashley Laminates design. 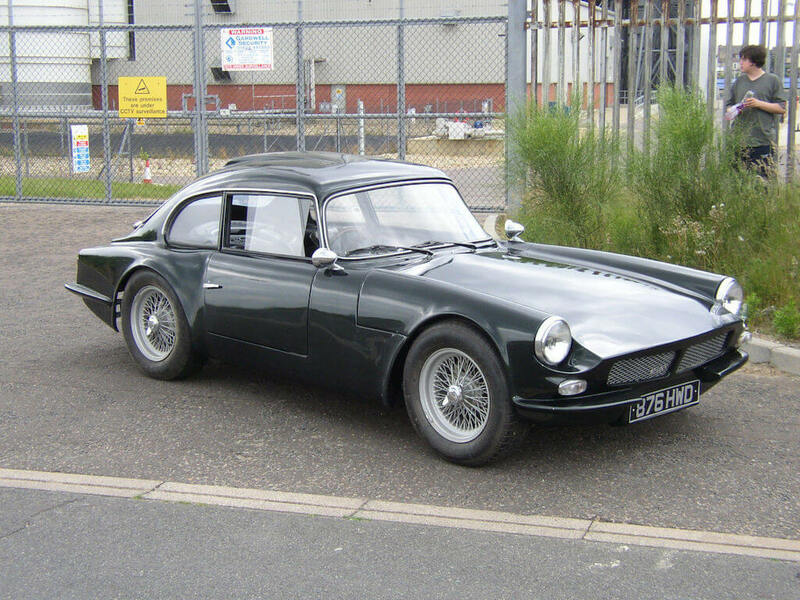 Its round head lights, GT roof line and wide wheel arches all echo the original Ashley design. There are also hints of Triumph GT6 (which came out much later in 1966) in the design. The interior is typical minimalist rally car, the dashboard bearing the scars of many a racing modification. 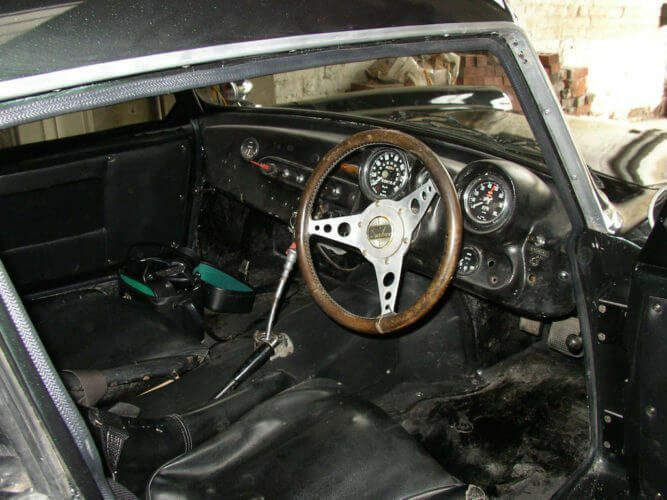 The steering wheel, which we assume is original, is typical of the era and looks great and has a nice patina to it. No photos of the engine are supplied but we have tracked down some online and its an impressive looking motor. We expect it sounds pretty good with those triple Webers. This Reliant Sabre Six is a fabulous looking GT with a superb stance, its dark green paint giving it a menacing look. It is a fascinating slice of Reliant’s international racing heritage, which is impressive given their previous lack of experience on the racing circuit. With an asking price of £135,000, this car is for serious racing enthusiasts. And thanks to its unique racing history, its new owner will be a guaranteed an invite to some of the UKs top historic racing events. If we had the funds to indulge in some historic racing, this would be top of our list. We will be keeping an eye out for this one on the racing circuit for sure! This Reliant Sabre Six GT is located in Great Yarmouth, Norfolk and the asking price is £135,000.